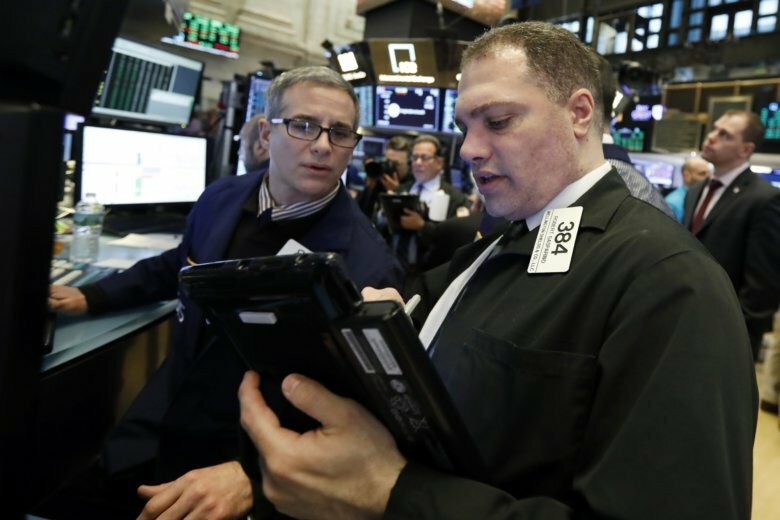 WALL STREET: U.S. investors returned from a holiday Tuesday to lower global growth forecasts by the International Monetary Fund and news that China’s economy expanded last year at its slowest pace since 1990. Reports that the Trump administration recently rejected a meeting with Chinese trade officials caused major indexes to slip further. The S&P 500 index declined 1.4 percent to 2,632.90. The Dow Jones industrial average dropped 1.2 percent to 24,404.48 and the Nasdaq Composite was down 1.9 percent at 7,020.36. U.S-CHINA RELATIONS: Media outlets including the Financial Times and CNBC have reported that the White House turned down an offer by Chinese trade officials to meet in Washington this week, because of the lack of progress on matters like intellectual property theft. According to the reports, which cited unnamed sources close to the matter, the preparatory talks were meant to soften the ground before China’s economy czar, Vice Premier Liu He and U.S. Trade Representative Robert Lighthizer meet on Jan. 30 and 31. White House economic adviser Larry Kudlow denied that, saying both sides are working toward the higher level talks. ANALYST’S TAKE: “The U.S. strategy might be to raise pressure on the Chinese ahead of the hard deadline in March, but this makes for uncomfortable interpretation by markets, and could potentially induce excessive volatility in the interim,” Chang Wei Liang of Mizuho Bank said in a commentary.